Enyo is the last in the Warramunga Downs Paladin line that has produced several champions throughout Australasia. 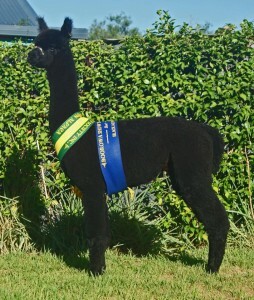 Before arriving in New Zealand, Enyo performed creditably in Australian Shows including Champion Black Huacaya at the Sydney Royal Show. 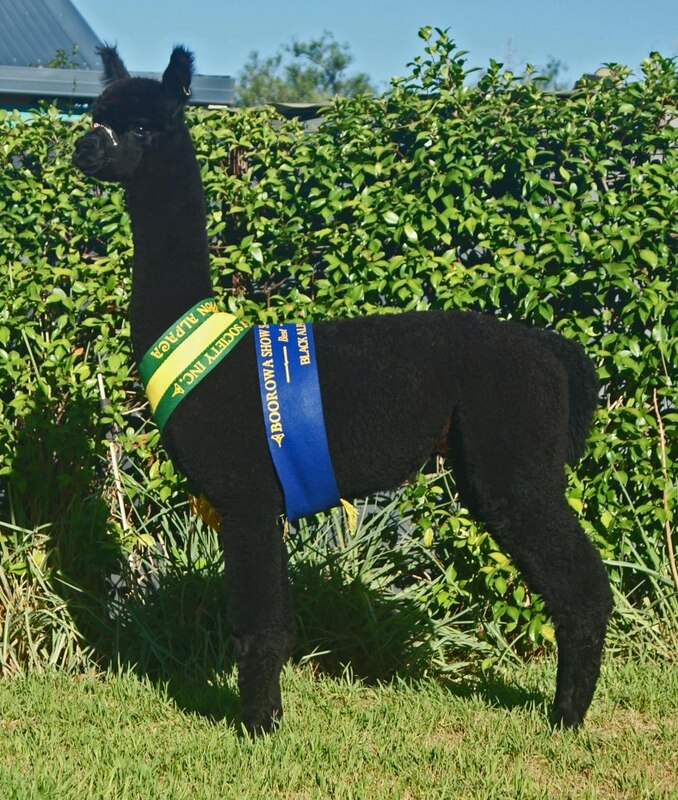 Warramunga Downs Enyo is stamping his mark on his progeny from day one. Tight curly coats, intense Black Fleeces, upright confirmation with solid bone structure. 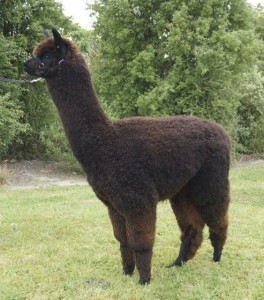 All great qualities from this new stud male. His latest fleece results (2015) are: Micron 21, SD 4.1, CV 19.4, CF 97 for his 4th fleece.Enyo is available for outside matings. 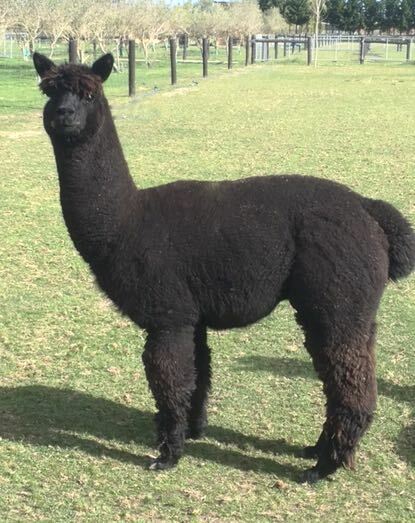 From Warramunga Downs Kalarni out of Jolimont Macee, Aramis brings great handle and density of fleece packed on a typically robust frame. Aramis is certified and will commence stud duties Spring 2017.